Even after 60 years of marriage you haven’t changed Venky… And this gift of yours always takes me 60 years back! “Who proposes a girl with a Imli (tamarind)? ?”, Ila threw the Imli back at Venkat laughingly. Today celebrating 60 years of their marriage they both looked really cute and still very much in love. “If you didn’t like my style then, why did you say “yes” to my proposal?” questioned Venkat.” You were a real charmer, a smooth talker and knew exactly how to hook me… And by the way, how many times will you want me to repeat this to you Venky?”, expressed Ila knowing exactly what Venky wanted to hear. “So you mean to say, only these qualities of mine made you fall in love with me?”, enquired Venkat. “No. Definitely not! You were and genuinely are a nice guy at heart who always made sure that I am happy in every situation. You never tried to hurt my feelings. Infact, my candid confession to you that I couldn’t marry you, as I had a past, then, didn’t even bother you a bit. Isn’t it, Venky?” By now Ila, too knew how to put Venky in a spot. After-all love is contagious and you adapt to the qualities of your partner. “Hmm… Yeah sure! Any doubt on that. Hence till today, I have not even gone near to your ‘secret-box’ which you have kept underneath your wardrobe and which you don’t even allow me to touch it”, claimed Venky. “Ah-haa! Look at that. Somebody still remembers it and still is curious to peep inside it”, poked Ila laughingly. “Oh, C’mon! If I had to, I would have done it years back. I have actually forgotten it. It’s only because of you rubbing that on me, I remembered it”, Venky tried playing it cool. This sweet and sour love story of the couple went on for few years and one day Ila became very sick. Venky was sitting by her side throughout. She said to him, “Venky, as till date you didn’t touch my ‘secret-box’, I hope you would continue to do that even after I am gone.” “Shut up Ila! This isn’t the time to discuss this”, pleaded Venky. Few days later Ila passed away. I knew you would open this box someday to find out what was stored inside it all these years. It could probably be the past which I had pointed out to you years back or something completely alien to it. Venky, sometime it’s the quest for an answer which keeps one alive. All these years, we both know we loved and were totally faithful with each other. Even then, to ensure that our sweet and sour relationship lingers for time to come, it was necessary to build some story. I can already see the grin on your face and hear the murmuring, “Damn! She got me on this one.” And I want to see this smile on your face for life. Stay happy and stay smiling. Posted in Life Relationships, Love Story, Quest, Romance, Tamarind.Tagged Love, Lovestory, Quest, Romance, Sweet & Sour, Tamarind. You’ve been able to capture the essence of the relationship. Trust and Love. So important to have both in a partnership. Your stories regularly have that element of human emotion which makes it endearing. Keep it up. I am happy that you could connect with the theme of my blog ‘LIFE’. Life and it’s varied emotions attached with it are the real drivers of everyone’s life. And my attempt is to portray the same through stories which connects every reader. 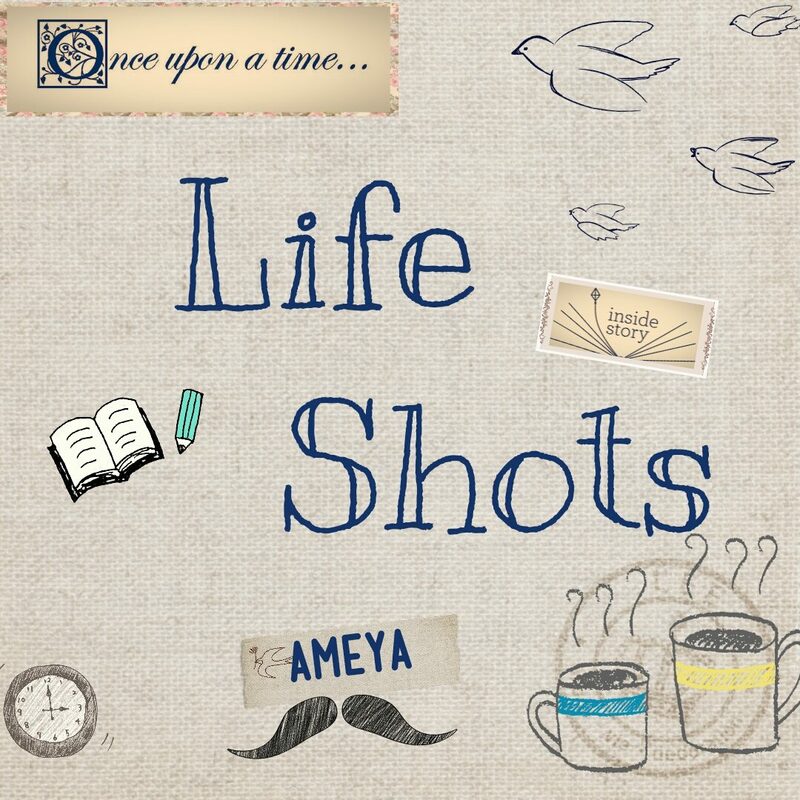 Dear Ameya, Very nice little love story, well crafted. God Bless. A very clever way of conveying the idea that complete trust between partners is fundamental to the success of a marriage. Also love must be unconditional. Thank You so much for going through my post and it feels great to know that you liked it. Thanks for your kind words and appreciation. Looking forward for your feedback on other posts as well. Hope you enjoy reading them. Conveys a beautiful message about trust between partners and the desire to see the other happy when one of them crosses over.Well written dear.Keep it up!!! It means a lot coming from you. I am glad that you liked it. Keep showering your blessings. Loved ur sweet and sour love story on relationship. Keep it up. Thank You so much. Thanks for going through all my posts and making a point to drop in your valuable feedback. It only brings more energy to come up with more interesting posts. Thank You so much. I am happy that you liked it. The support and encouragement from readers like you will surely help me to keep it going.